Han Se Gye is a super famous and controversial actress, with many rumors about her intimate life. For the general public, her life is a mystery, but in reality, she suffers from a strange phenomenon in which for a whole week of each month, her body changes to a different body and a new identity. By signing a contract with a famous airline, she meets Seo Do Jae, a fantastic man, who is the future heir of the company. In his life, he has everything, perfect appearance, intelligence, a good job, and a great fortune, although, like everything in life, nothing is perfect, he has a secret. 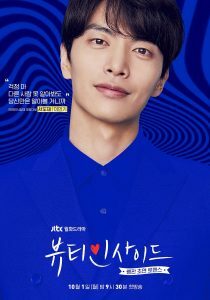 He suffers from Prosopagnosia, the inability to recognize faces, however, he manages to keep his secret from the world hidden and every day he tries to remember people for their personalities and quirks, yet Seo Do Jae’s life takes a turn when Han Se Gye’s face is the only one he can recognize. This gives way to a fun and unique relationship. She has a unique personality, full of character and mischievousness, with a certain touch of tenderness and compassion. She always defends the weakest and fights for justice; her peculiar situation has brought her a very solitary life, with the exception of the company of her friend and agent Yoo Woo Mi and Ryu Eun Ho, as well as the continuous fear that one day she will not be able to remember who she is or her secret is discovered. A very attractive man, with a sense of fashion, intelligent, skillful in business, in general quite a gallant, who has many responsibilities in his airline and lives to fulfill them, due to his inability to recognize faces, he became a very disciplined man, with a cold and somewhat distant personality, with a frankness that sometimes is somewhat hurtful, but who cares for his family and others. 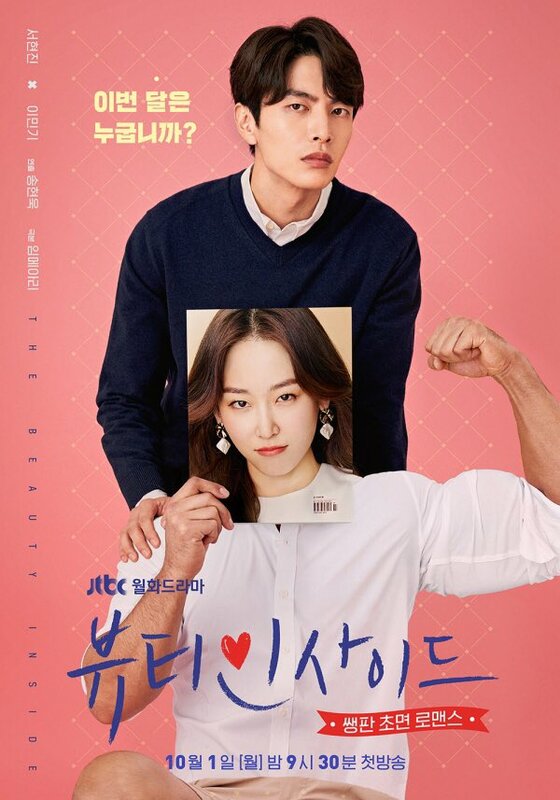 Half sister of Seo Do Jae, her ambition has no limits, even though she is rich, she is willing to do anything to obtain the prestigious position of her brother. She is an arrogant woman, with a strong character, very beautiful and terribly disordered, without any ability to cook, but behind that intimidating woman cover, she has a tender and sweet side. He is a good friend of Se Gye, a Catholic that wants to become a priest, he is a saver and is very opportunistic when it comes to getting money, he is super cute and that is why he is always surrounded by admirers, he has many jobs, from looking after Se Gye’s dog, to being a cleaning assistant, messenger and stop counting. His family opposes his decision to become a Priest and works in community centers, he even tries to get donations. It is the adaptation to drama of the film “The Beauty Inside” that was released in 2015 and based on the book “Every Day” by David Levithan. In this new production, the roles are reversed since in this case it is the female protagonist who changes body and it happens once a month for a week, not as in the film where the change is permanent, is having a great reception by all viewers, is one of the most seen and commented drama. Beauty Inside has great protagonists such as Seo Hyun Jin, giving us a role where she looks very seductive, adorable and great, who is fulfilling what was expected and who is winning very good reviews and then is Lee Min Ki, a great actor, great physicist and adored by many fans, whose cold character, but at the same time being quite a gallant, is looking very good. 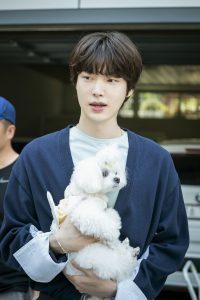 This drama so far is being very funny and romantic at the same time, with a perfect chemistry between the protagonists, with that love-hate relationship, give us some fantastic scenes, also with a very good setting with Lee Da Hee as Kang Sa Ra and Ahn Jae Hyun as Ryu Eun Ho, being this couple a total overturn to the typical prototype in Korean couples, the super gallant Chaebol man who falls in love with the sweet and pretty poor girl, in this case is the other way around. 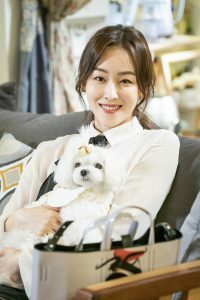 I think Lee Da Hee is making a great character, which may be a little overshadowed by the great role of Seo Hyun Jin, but certainly, both are giving us two very strong female characters worth admiring and continuing to see.